It is becoming more and more widely accepted that Ice Ages coincide with the passage of the Solar System through the spiral arms of our galaxy. It therefore occurred to me to wonder what would become of a species that had evolved intelligence just before their planet’s transit of a gas cloud far denser than the one in Orion which the Earth has recently—in cosmic terms—traversed. 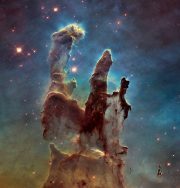 is certainly enough of a hook from which to hang an SF novel. In this case, a highly episodic novel. Really, more a collection of linked novellas. 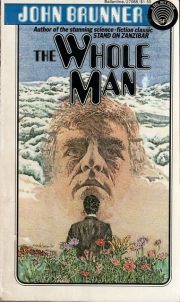 Having recently reviewed one novel about UN telepaths, I am tempted to review an earlier book on the same theme: John Brunner’s 1964 The Whole Man. 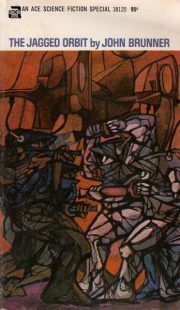 Written a generation before Emerald Eyes, it takes a much more optimistic view of mind-probing United Nation functionaries. Perhaps the most obvious difference is that whereas Carl Castanaveras was the servant of the UN’s militarized police force, Gerald Howson is employed by the World Heath Organization. 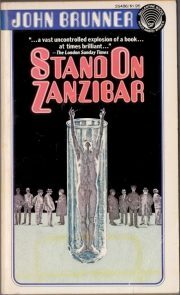 1968’s Stand on Zanzibar is the first of a thematically connected series of dystopian novels, each wrestling with a different significant issue of the day (the day being the 1960s and 1970s). 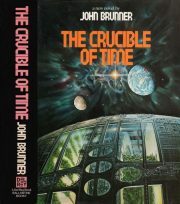 It is arguably John Brunner’s finest work. Brunner takes us to a 2010 where Earth is home to so many people—seven billion!—that if we all stood shoulder to shoulder in one location, we would cover the island of Zanzibar. There’s no sign of a Malthusian collapse on the horizon, but the unthinkable overcrowding has had consequences, ranging from draconian eugenic laws to outbreaks of violence. Conventional sexual mores have broken down and society has become saturated with frivolous, pandering, Murdochian mass media. 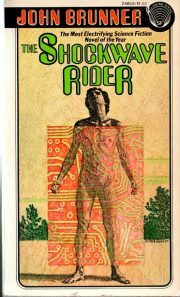 Two roommates, Donald Hogan and Norman House, are drawn into seemingly unrelated events on the opposite sides of the Earth.